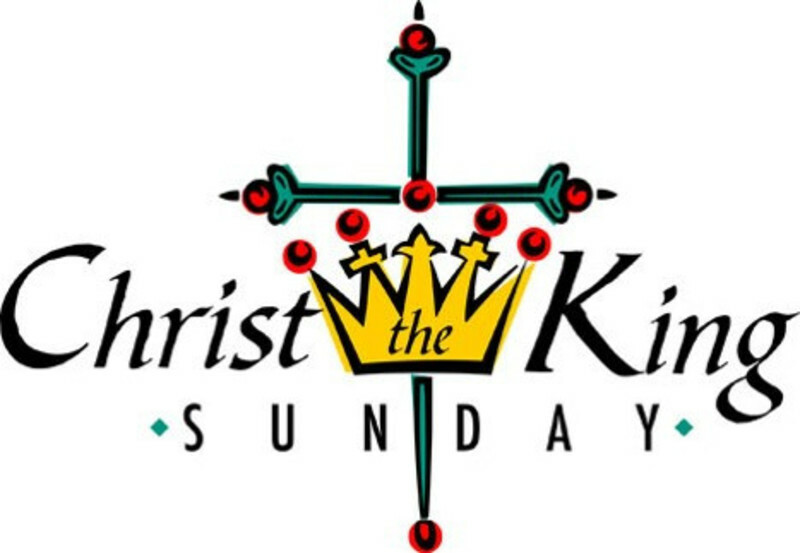 In 1925, in the aftermath of World War I, the Christian church created the festival day now known as Christ the King Sunday. World War I was a time when leaders all around the globe were saying, "Follow me! No, follow me!" The result, of course, was one leader leading his nation to war against another leader and his nation, struggling on the battlefield to see which leader would emerge as the leader of all, with millions dead as a result. So the church created Christ the King Sunday as a way of saying that even though countries and leaders liked to think of themselves as being superpowers, and they all liked to think that they were the ones who held the future of the world in their hands during the great war, they weren’t really the ones in control of all things. There is a righteous and just king on the throne, Jesus Christ, who is the true superpower. How then do we approach Christ the King Sunday in light of the world of today? How do we even approach the idea of a “King?” Rev. Jill Duffield says,“ For some, it creates a stumbling block to seeing God. Male. Dominating. Subjugating. Hierarchical. These are adjectives akin to anathema in our postmodern, #MeToo, pluralistic culture, right? Hard as I try, that scene from "Monty Python and the Holy Grail" keeps playing in my head: "I am your king." "Well, I didn't vote for you." "You don't vote for kings." The main stumbling block I find is in equating Jesus as king with the kings, the often corrupt rulers of this world. Jesus reframes the vision of a king-Servant king, just king, prince of peace, crucified for us, risen messiah who destroyed the bonds of death. So whether we use “kindom” or “kingdom”, we remember that Jesus is unlike any humans’ rule or reign that ever was or will be. Leaders of the world who believe themselves to kings tend to use their own wisdom, rely on their own inner circles to set policies, rather than find wisdom in God’s word, and as a result have been bad kings. This has been a problem for many centuries, as far back at least as the 7th century B.C. It is during this time that hope for a righteous king will come, a true Son of God to reign. That is what the passage in Jeremiah is all about. Kings in Old Testament times were seen as direct representatives of God, or sons of God if you will. Their decisions were to reflect God and God’s wisdom. The problem was that, after King David,(and David was far from perfect), most of these sons of God did not do well in reflecting God or God’s wisdom. Jeremiah speaks for God in regard to the kings of Israel, referred to as shepherds. What is God’s complaint against them? They have not cared for the flock. They have driven them away from God, for they themselves have not been faithful. Jerusalem was nearly destroyed by the Assyrians in the 700’s B.C., in part due to an unfaithful king not following God’s advice. And now, under King Jehoiakim, and his son Jehoiachin, they were in trouble once again. People weren’t following God’s ways because the kings weren’t either. The current superpower, Babylon, was poised to lay havoc to Israel and Jerusalem, the capital city of Judah. By 586 B.C., the kingdom of Israel would be conquered. The people of the nation and in particular the people, some 150,000 of its capital city would be led off in chains to captivity in Babylon. The government of that day - the kings, priests and, appointed leaders failed the people, leading to a catastrophic crisis. The people had lost faith in their king and in their God. God’s lament in Jeremiah ends with a new hope-a hope in a true King who will lead the people in just and right ways, who will be a faithful shepherd, who will save the people and be called, “the Lord is our righteousness.” This was the beginning of hope in a Messiah, one which would be fulfilled in the son of God, Jesus Christ. Our New Testament passage for today from John’s gospel gives us an encounter between the Messiah, Jesus and Pilate, governor of Judea- an earthly king facing a different kind of king. The Messiah, whom we honor as just and loving king on his day tells the ruler with the power, "My kingdom is not of this world." Faced with the opportunity to spare himself, he chooses truth over safety. Jesus says he came to testify to the truth. Whoever belongs to that truth listens to his voice. Telling the truth by speaking of the words of Jesus and doing God’s bidding in the world gives us glimpses of the kindom. Our Messiah has come to give us a glimpse of what that kindom is to be. He was born upon the earth, taught us God’s righteousness, and transferred us to be his workers through his great sacrifice upon the cross. Our hope, the one whom we long for to make things right has come to us. Jesus is a just, loving king; he is Lord of all. Why then are things so dismal? Why is there so much corruption and sin, both within and outside our government? For far too long, we Christians have lived as though Christ’s reign is partial. We give lip service to the king on Sunday mornings, when we come to worship. We live our faith in a mutual relationship, and hear Christ’s teachings and embrace them until we head outside the doors of the sanctuary. Outside, our lives are mostly ours, not his. We aren’t the coworkers of the kindom Jesus wanted us to be, for the King does not command all of our life, which is in part why this world is so corrupt. Since the election results of 2016, we’ve all heard the increased reports of racist taunts and bullying-the protests in Charlottesville were a startling reminder of the racist sin of this nation. We’ve heard about the immigrants in this nation worrying about being deported, or choosing not to wear head scarves for fear of their lives. We see the military at our border, getting ready to face off against an immigrant caravan, with permission to defend themselves with deadly force. But our King has come to lead us, to help us stand up against racism, bigotry, and violence. Our hope is here now. Jesus does not just want us in worship on the occasional Sunday morning. Jesus does not want us to have a vague idea of his teachings or lukewarm allegiance. Jesus the just King wants us to be repairers of the breach, to be reconcilers; Jesus wants us to bless those who mourn, to work for righteousness, to seek peace; Jesus wants us to be the salt of the earth and light of the world, to turn the other cheek, to refrain from judging others, to pray for our enemies and to forgive. “Ay Dios mio” indeed. We need to show the kindom which is in opposition to the ways of this world. We share a kinship with all of humanity and are called to work for a kindom led by God’s vision for creating a loving, just world. 4th-century bishop of Hippo, St. Augustine said, “Christ is not valued at all unless he is valued above all.” Are there parts of your life that are yours and yours alone? Are there portions of your life where Christ is not known? Let the Messiah, the King of Kings into every portion, every part of your being. Let Christ reign in your life- not just here in this place, but in every part of each day in your life. Stand up for the vulnerable. Speak out against those who preach hatred, who sow seeds of violence. Pray for those who now taunt the weak. Call the shepherds of this great nation to account, to be good shepherds who care for their whole flock, including the least of these, including the immigrants and outcasts of the world seeking asylum from violence and danger. Let Christ reign and reign fully in your lives and be saved from fear, from revenge, from hatred of the other. May the King of Kings be with us, using our hands, our hearts and our voices, so that his just and loving kindom might increase upon the earth. Alleluia! Amen.